Students aspiring to become designers and wishing to pursue a designing course at a renowned institute like National Institute of Design popularly known as NID are required to qualify the Design Aptitude Test more commonly known as DAT. Designing applicants wishing to clear the entrance look for tips to help them, therefore some tips have been devised for these students. Tip 1. Pay Attention: Be alert at all times for anything that may help you to come up with new ideas. Make use of all the various resources available to you such as newspapers, magazines, online sites, advertisements, posters, banners and flyers. By paying attention to these resources you might just get a few ideas that will come in handy during the examination. Tip 2. Master skills: improve skills like human illustrations and calligraphy. You never know when they might come in handy. If you develop human illustrations and calligraphy skills these skills can be a life saver at times during examinations. Trying your hand at calligraphy and enhancing it can make a simple image lively. Tip 3. Practice, Practice: the more you practice, the better you are going to get at the task. Practicing makes you confident and thus helps you to excel. You should try to sketch almost anything and everything. This will give you an edge over your competitors if you are able to sketch different things. Tip 4. Don’t be afraid to try new things: explore areas that you may have not thought off. This activity enhances your creativity and you just might come up with newer and unique ideas. Besides many famous personalities like Graham Bell, Einstein came up with unique ideas that the world now benefits from their work. Tip 5. Materials used: make sure you have all the equipment or materials for the examination. Ensure that the materials used are of good quality. For instance Faber Castle colour pencils are a good option but make sure that you have at least 24 shades in it. Tip 6. Proper Planning: proper planning is essential as this will help students to complete their paper on time. A student’s success depends upon completing the paper in time and well. In order to do this it is essential that a certain amount of time is allotted to each question and sticking to the time allotted is important. If you succeed you will definitely have more than enough time to add in your finishing touches. Apart from planning the time within which to finish a question, students should even plan their ideas before beginning to sketch. This will reduce the time spent on a sketch if you have a plan in place. Tip 7. Method followed: While practicing it is preferable to draw or sketch lightly so that you minimize the time spent in erasing what has been drawn. Once you are confident about the picture then you can darken it. Try to reduce the use of an eraser, if it helps keep it away from you. This will spare time to focus more on the important aspects such as detailing and shading. Tip 8. Give Preference to Details: if preference is given to details in one’s sketch it gives life to the drawing. The details help people to understand clearly what the applicant wishes to portray from the sketch. Use shading as and when required and ensure that you give finishing touches to your creation if possible, it gives a good appearance to the sketch as well. Tip 9. In the Examination Hall: clear you mind after you have completed the GAT session when entering for the CAT session, as students tend to be excited after the GAT session. This will relax and prepare you for the CAT session. It is preferable to begin with simple questions such as the logo design and the T-shirt design. Tip 10. Watch your Health: it is important for you to eat a healthy and a balanced diet, ensure that you get enough of rest by sleeping on time and exercise, as this will refresh both the mind and the body. The Common Management Admission Test (CMAT) is one of the many management entrances held for the purpose of attaining admissions into various AICTE approved Management Courses. The CMAT is conducted by the All India Council of Technical Education (AICTE). 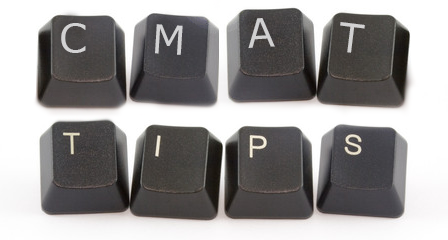 With the examination approaching students have a tendency to look for tips and tricks to help them to tackle the CMAT. In view of the students requirements certain tips and tricks have been devised that can aid students in the preparation of the examination. Tip 1 General English: the questions in this section test the applicant’s verbal ability, reading and comprehension skills. The questions comprise of analogies, synonyms, antonyms, match the list, idioms, one word for many, fill in the blanks, identifying sentences with similar meanings, punctuation, spellings, jumbled paragraphs and scrambled sentences. In a nut shell the basic concepts of grammar are tested. Grammar: A useful tool to improve one’s language skills is by referring to Wren & Martin. This book is a perfect guide for improving one’s grammar, as well as comprehension skills because it has exercises and examples for each topic. It also comes with a key that can be used to verify if the answers are correct. Reading and Comprehension: you need to have a copy of the Wren & Martin as soon as possible because it has very good examples for improving your comprehension skills. It has sample passages that contain questions on most of the aspects covered in the English section. Developing a habit of reading has its advantages as it is one of the best ways to improve one’s language skills and vocabulary. When one comes across a word that they do not understand it is essential that students make it a point to open a dictionary, therefore ensure that there is a dictionary nearby whenever you read something. Tip 2. Analytical & Logical Reasoning: the reasoning section consists of questions based on logical, analytical and critical reasoning therefore they are framed accordingly. So whenever you read a passage don’t forget to put on your thinking cap and ask your W/ H (How, Why, What) questions as often as possible. Practice difficult reasoning puzzles from mock papers and books on reasoning that are now available online itself. Solving puzzles from popular puzzle books available in bookstores will also help. Focus on lengthy puzzles on distribution involving lots of variables. Tip 3. Quantitative Ability, Data Interpretation, Data Sufficiency: this section mainly consists of questions that use bar graphs, line graphs, case lets (data given in the form of paragraphs, requires applicants to extract the information provided to establish a relationship between the data given), tables, pie charts or circle graphs etc. to interpret data. Similarly the questions are based on the data that is interpreted, so break up the question and note down the information that is given to you. Tip 4. General Awareness: reading newspapers and watching educational channels will boost your general knowledge. A good start to improve your knowledge of India to crack this section is by visiting www.india.gov.in which has information about the latest happenings in the country. Apart from this you can even read past issues of business magazines (from January 2012) and pay attention to the main events in the corporate world. Having information about organizations /associations like the UN and its associate agencies such as ASEAN, SAARC, NATO, BRICS etc. can help you to clear this section easily. A good knowledge about the stocks and GK questions like countries, capitals, currencies, inventions and discoveries in science can be very helpful. Tip 5. Group Discussions: try to be loud and aggressive in an appropriate manner, if you need to get your point across. If a student is unclear about the topic then it is advisable to wait for someone else to begin. Try and summarize the points that have been discussed at regular intervals this will bring the group back on track. Tip 6. Topics to focus on: for Analytical & Logical Reasoning students can focus on are Matrix arrangement, Linear Arrangement, Venn diagram (sets diagrams i.e. Overlapping circles to form another circle), Puzzles, Family Tree, Visual Reasoning, Critical Reasoning and Syllogisms. For Quantitative Ability, Data Interpretation, Data Sufficiency sections students can focus on SD, Average, Probability, Divisibility, Numbers, Equations, Functions, Simple Interest, Geometry, PnC, Statistics, Counting, Tables, Line Charts, Pie Charts and Data Sufficiency. Tip 7. Practice: it is essential that students refer to previous years question papers and rely on mock tests, as this will make them familiar with the paper pattern and will give them an idea about the type of questions asked. Thus, students are better prepared for the examination. Practice different topics in grammar that are covered in the Wren & Martin. This will strengthen your grammar skills and reduce the silly mistakes often made by students. Several websites have mock tests that can assist students in there preparation so students should take these mock tests as well. Tip 8. Join Coaching classes: this will ensure that students practice regularly and are better prepared because they can resolve the queries that they might have about a particular topic. Students should not hesitate to clarify their doubts from the professor as this lets the instructor know if the pupil understands the matter taught. Tip 9. Health Matters: it is important to ensure that you get enough rest, eat a balanced diet and most importantly exercise. It is important that you sleep in time, eat properly and exercise, if you wish to perform well in the examinations because both the body and the mind need to rest to function to its maximum potential. Tip 10. Avoid Procrastination: it is important that students don’t put off tasks that need to be completed because certain tasks need to be done on time. Avoiding these tasks or engaging in irrelevant tasks doesn’t help as sooner or later you end up doing them anyway but in a haphazard way. Resulting in the tasks not done well and students don’t learn what they need to while doing the task either. The Joint Entrance Exam (JEE) Mains is an entrance examination that student require to clear for admissions in to under graduate engineering courses. It has replaced the previously held AIEEE entrance examination for the various engineering courses since 2013. The JEE is a one way ticket to the 15 Indian Institutes of Technology (IITs), 30 National Institutes of Technology (NITs), four Indian Institutes of Information Technology (IIITs), five Indian Institutes of Science Education and Research (IISERs) and few deemed universities from 2013. The JEE will be held in two parts the first being the JEE Mains and the second being JEE – Advanced. On qualifying the JEE, students can gain admission into the popular NIT’S and IIIT’s for various engineering courses. No wonder engineering aspirants are excited and anxious at the same time. 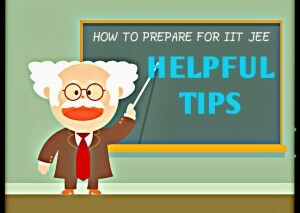 Here are a few pointers that will help you to boost your success quotient with a JEE study plan. Tip 1. Know your exam well: ensure that you have accurate information about the examinations such as the examination dates, syllabus covered, the different sections, the documents required and the duration given to each section. Tip 2. Syllabus covered: JEE covers the CBSE syllabus or the syllabus of the previously held AIEEE. All the topics of JEE are covered in the NCERT books. Tip 3. Know the sections: as the governing body that conducted the AIEEE is the same one that is conducting the JEE, the pattern is bound to be same hence the sections are objective type multiple choice questions are 25 combining the comprehension questions, comprehension type questions and assertions – reason type questions which are 5. Tip 4. Important topics: the topics that you need to focus more on for JEE – Mains are subject specific i.e. for Physics one needs to have a fair understanding of Kinematics and Dynamics. It is essential for one to develop a strong problem solving ability therefore these two topics are important. In addition to this the Theory of Fields (Electromagnetism) is very important. For Chemistry, Physical Chemistry is a scoring topic hence all the units in it must be done perfectly. Apart from these topics neglecting Inorganic Chemistry isn’t wise because once you are clear about the concepts you score exceptionally well. As for Mathematics, Calculus is very important because it is used in all domains. Some other important and scoring topics are Determinants, Sequences, Permutation and Combination. Student must be able to relate complex numbers with Coordinate Geometry and Vectors. Even Three dimensional geometry is easy and scoring if the concepts are clear. The topics that you need to focus for JEE- Advanced are as for Physics apart from Mechanics and Electrodynamics; you also need to allot an equal amount of time for Heat and Thermodynamics, Optics and Modern Physics. These topics are easy to score in once the concepts are clear. For Chemistry you need to focus on general principles of Organic Chemistry because the other tropics will be relatively easier to understand and for Physical Chemistry has a lot of numerical problems hence practice as much as you can. For Mathematics it is important to understand the inter-relationship between various topics as this knowledge is required for Geometry. The knowledge of Vectors is also very helpful in these topics. To solve problems of Probability having information about Permutation and Combinations will come in handy. You need to practice Trigonometry as well. Tip 5. Practice: when it comes to mathematics the best way to develop confidence it nothing else but our old buddy practice, practice and then practice some more until and unless you are able to get the right answer. It is preferable to refer to previous years question papers and solve as many as you can. This will familiarize you to the examination and give you an idea as to the type of questions that are most likely to come. Tip 6. Balance your time efficiently: you need to form a time table and allot a certain amount of time to the topics and subjects that you find difficult so that you can focus more on such topics. So when you have enough of time you need to use it for subjects that are tough. Tip 7. Know which topics to learn when: Don’t learn a new topic just before the exam. Or spend time on subjects that are difficult. Instead revise what you have already done and perfect these topics. Tip 8. While Studying: try and make use of memory improvement techniques, revise and rehearse topics that you have completed, take 5 minutes breaks after an hour. For more information you can always visit jeemain.nic.in/jeemain2013/Welcome.aspx. 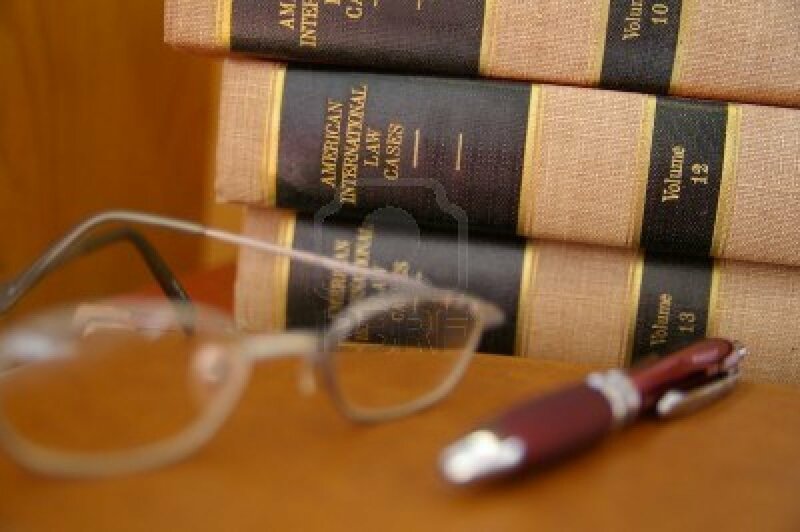 Law applicants are required to give the Common Law Admission Test (CLAT). The CLAT is an entrance examination that is conducted at the national level for admissions into the graduate and the undergraduate courses. The total marks of the examination are 200 which are Multiple Choice type of Questions (MCQs). The questions assess the candidate’s aptitude in 5 parameters namely English that includes Comprehension (40 Marks), General Knowledge / Current Affairs (50 Marks), Elementary Mathematics / Numerical Ability (20 Marks), Legal Aptitude (50 Marks) and Logical Reasoning (40 Marks). With the examination round the corner students are bound to be excited and nervous hence, they tend to look for tips to help them clear the examination. Based on these areas are a few tips that can help you to clear the examination. Grammar: A useful tool to improve your language skills is by referring to Wren & Martin. This book is a perfect guide for improving your grammar as well as your comprehension skills because it has exercises and examples for each topic. It also comes with a key that you can use to verify if your answers are correct. Reading and Comprehension: In order to crack this section you need to get a copy of the Wren & Martin as soon as possible as it has very good examples for improving you comprehension skills. It has sample passages that contain questions on most of the aspects covered in the English section. Expose yourself to the language: you can start by making use of the various resources available to you such as the Internet, newspapers, journals, magazines, television, books etc. Most importantly converse with a friend who is good at the language if possible, it is the most effective way to increase your confidence. It is absolutely essential for you to make a habit of reading as this is one of the best ways to improve your language skills. Reading English newspapers, listening to English news and writing a few sentences in English will definitely help you in the long run. When you read; it not only helps you to improve your grammar but it also increases your vocabulary. While reading if you come across a word that you do not understand make it a point to open a dictionary therefore ensure that you have a dictionary nearby whenever you are reading something. Tip 2 General Knowledge / Current Affairs: this section tests the applicant’s knowledge of current affairs mainly and is one of the most scoring sections of CLAT. You need to Read newspapers regularly and keep a tab on all the various matters that were highlighted by the media in the last one year or you can refer to books such as “CLAT Essentials” by Abhinav Shrivastava is the best resource. This book is concise, to the point and will be enough reading for the last 5 days leading up to the exam another option The Panorama yearbook by Pratiyogita Darpan. Apart from this information about the awards (sport, national), the Commonwealth games, the upcoming Olympics and recent happenings in the legal field e.g. Legislations like the introduction of the Citizens Charter Bill that was introduced in the Lok Sabha in December 2011are topics that you should be well versed with. Tip 3 Mathematics / Numerical Ability: it would be better if you revised the elementary mathematics formulas and concepts i.e. math’s topics that are taught till class 10. Practice the various topics as much as you can as it will give you confidence and ensure that your concepts are clear. This will help you to perform well. Tip 4 Legal Aptitude: students should remember that they will not be tested on prior knowledge of law or legal concepts. If a technical/legal term is used in the question, that term will be explained in the question itself. The questions will be designed to test you only on your “legal aptitude” mainly your legal “reasoning” and not your legal “knowledge”. To crack this section if you are good at logical reasoning then this section will be easier to clear. Tip 5 Logical Reasoning: This section will assess the candidate’s ability to identify patterns, logical links and rectify illogical arguments. The type of questions asked will be from a wide variety of logical reasoning questions like syllogisms, logical sequences, analogies but your visual reasoning will not be tested. This section consists of 2 types of questions namely logical (verbal/critical) and analytical. Analytical questions need a lot of practice before you can reach a comfort level. The logical questions won’t be difficult to tackle if you have some basic logical sense in place, otherwise a little bit of practice is essential. You can refer to M K Pandey. If you’re already good with logical reasoning then try solving LSAT pattern questions. For all these sections refer to previous years question papers to get familiar with the pattern of the question paper and to know the type of questions asked. A nurse is a health-care professional whose main objective is to care for individuals, families and communities. They ensure that the patients attain, recover and function at an optimum level. Nurses are trained to assess, plan, implement and evaluate the care required irrespective of a physician and are expected to provide support and help in emergency cases. Nurses are found in hospitals, clinics, physician offices, private homes, schools, pharmaceutical companies (but as researchers), industries (in occupational health settings), schools, cruise ships, retirement homes, hospital facilities, long-term care facilities, military facilities and even camps. Apart from these nurses even give advice and work as consultants at health-care, insurance or legal industries. 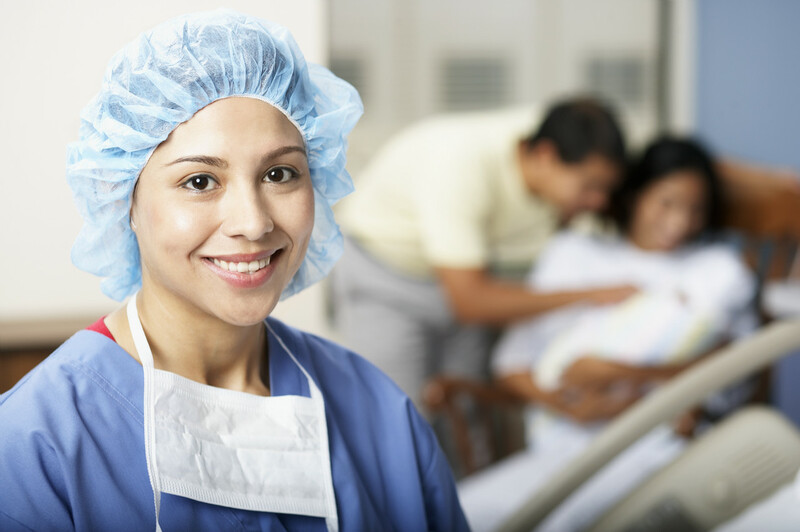 Nurses can also work either full- or part-time basis and can work on per day basis or as traveling nurses. Like any other course nursing too has various specializations namely Nursing Superintendent (NS), Assistant Nursing Superintendent (ANS), Nurse case manager, Nursing in Charge, Clinical Nurse, Nurse Administrator, Nurse anesthetist, Nurse Educator, AID’s Care Nurse, Genetics Nurse, Cardiac Rehabilitation Nurse, Intravenous Therapy Nurse, Occupational Health Nurse, Correctional Nurse, Nephrology Nurse, Neuroscience Nurse, Trauma nurse, Forensic nurse, Flight Nurse, Holistic Nurse, Military nurse etc. Auxiliary Nursing and Midwifery (ANM): the minimum qualification required is 10+2 pass and its duration is Two years (24 months). The fee is dependent upon factors such as schools, Hostel, food, number of seats available, the university and the location of the institute (state wise). General Nursing and Midwifery (GNM): the eligibility is 10 + 2 pass with minimum 45%; the duration is 3.5 years (3½ years). The fees are dependent upon factors such as schools, Hostel, food, number of seats available, the university and the location of the institute (state wise). B.Sc. Nursing (Post-Basic) Regular: here the applicants must have passed 10 + 2 or any other examination or its equivalent thereto and should be a Registered Nurse and Registered Midwife (Diploma in General Nursing and Midwifery – GNM) qualified from a recognized institute and registered with respective State Nursing Council, approved by the Indian Nursing Council (INC) The duration of the course is 2 years. The fee may vary depending upon factors such as schools, Hostel, food, number of seats available, the university and the location of the institute (state wise). B.Sc. Nursing (Post-Basic) Correspondence: here applicant must have passed 10+2 or any other examination or its equivalent thereto and should be a Registered Nurse and Registered Midwife (Diploma in General Nursing and Midwifery – GNM) qualified from a recognized institute and registered with respective State Nursing Council, approved by the Indian Nursing Council (INC). should have minimum 2 years of experience. The duration of the course is 3 years. The fee may vary depending upon factors such as schools, Hostel, food, number of seats available, the university and the location of the institute (state wise). B.Sc. Nursing (Bachelor of Science Nursing): Applicant should have passed 10+2 examination with Physics, Chemistry, Biology and English or any other examination as equivalent thereto with at least 50% marks in aggregate. Candidates appearing in April-May for the qualifying exam can also apply. Applicant should not be more than 25 years and not less than 17 years. The course fee varies depending upon factors such as schools, Hostel, food, number of seats available, the university and the location of the institute (state wise). Post Basic Diploma in Nursing: Applicants should have Passed B.Sc. /PB B.Sc. Nursing/ GNM (General Nursing and Midwifery) which is recognized by the Indian Nursing Council (INC) with minimum 55% marks in aggregate. Applicants must have minimum one year experience as a staff nurse. The Upper age limit varies from college to college and university to university but the general age limit is 35 years as on 1st January for general merit candidates. Relaxation of five years in upper age limit will be given to all SC/ ST candidates and 10 years to in-service candidates. The Specializations or Branches and Category in Post Basis Diploma in Nursing are: Critical care (P.G.D.C.C) Nursing, Emergency & Disaster Course in Nursing, Neuro Science in Nursing, Neonatal Nursing, Cardio thoracic Nursing, Operation Room Nursing, Nurse Practitioner in Midwifery, Oncology Nursing, Orthopedic & Rehabilitation Nursing and Psychiatric / Mental Health Nursing. M.Sc. Nursing (Master’s in Science nursing): Applicant should have at least 1 year of work experience in Nursing or Public Health Nursing or in nursing educational institutions recognized by the Indian Nursing Council (INC) after Basic B.Sc. Nursing or after Post- Basic B.Sc. Nursing. Applicant should be a Registered Nurse and Registered Midwife as approved by I.N.C. The course fee varies depending upon factors such as schools, Hostel, food, number of seats available, the university and the location of the institute (state wise). The Specializations or Branches and Category in M.Sc. Nursing: Specializations are available either as part of master’s degree Nursing course in areas such as Medical Surgical Nursing, Community Health Nursing, Psychiatric Nursing, Child health (Pediatric) Nursing , OBG Nursing (Obstetric and Gynecological Nursing), M Sc Oncology Nursing and Cardiothoracic Nursing. M.Phil. in Nursing (Master of Philosophy Programme): The course for M.Phil. in Nursing programme is open to those who have obtained Master Degree in Nursing under regular stream from a recognized University, securing not less than 55% (for OBC) and 50% (for SC/ST/PWD) marks in the aggregate of the Masters Degree as a whole. Doctor of Philosophy in Nursing (Ph. D. in Nursing): The candidate should be Nursing professionals who have completed their M.Phil. degree with 55 per cent marks from a recognized University or an equivalent grade (50 per cent for SC and ST candidates). Nursing professionals have M.Sc. Nursing with 55 per cent marks and five years of teaching/industry/administration/professional/clinical experience. Nursing personnel, who have completed their M.Sc. Nursing with 55 per cent marks (50 per cent marks for SC and ST candidates). And should have research background .May or may not published articles in journals. The course duration is far regular PhD course is 3 years and for part time is 4 years. Military Nursing: is one of the important professions in military. Four year B.Sc. Nursing / three-year probationary nursing course is conducted at various armed force hospitals in India. Indian Female candidates ( unmarried / divorcee / legally separated or widow without encumbrances) who have passed in the FIRST ATTEMPT the complete senior secondary (10+2)/ equivalent examination from a recognized Board /University with Physics, Chemistry and Biology with minimum 50% aggregate marks as a regular student can apply for the programme. Candidates who have appeared or will be appearing for final year of qualifying examination during the current academic session may also apply. Students today are fortunate to have a wide array of career options, unlike their parent’s generation. The advancing technology has given rise to the development of new courses in almost all fields; be it arts, science, commerce, management, engineering, medicine you name it, you have it! Although having so many choices is good but narrowing down on a career that best suit’s an individual is no simple task either. For students to make career decisions they need to be aware of their abilities, interests, aptitudes and personality. Besides this it is essential for students to be aware of various courses available in different fields. Apart from this information about the eligibility criteria and the options in the specific course, job profile, institute details and market opportunities are also required in order to make a career decision. For those of you who wish to pursue Arts, can look forward to careers in various offbeat courses namely animation, dance, painting or various designing courses like fashion, accessory, jewellery, web and interior designing, Radio Jockey, Disk Jockey, Video Jockey, are some others. Here the skills that matter the most are creativity and the ability to come up with innovative ideas. Apart from these options students can also pursue courses in the social sciences such as history, politics, economics, sociology, geography and psychology, languages, philosophy, business administration, law, journalism and mass communication, social work, library and Information Sciences etc. Students who wish to pursue science can opt for medical related courses such as MBBS, BUMS, BHMS, BAMS, DMLT, physiotherapy, pharmacy, nursing etc. in addition to these there are several non medical courses namely computer applications, computer science, botany, physics, chemistry, biology, biotechnology, geology, geography, zoology. architecture, engineering, aeronautical engineering, aircraft maintenance, Actuarial Science, nutritionist and dietitian, veterinary, are some other options available. The commerce aspirants too have a wide range of careers such as chartered accountancy, cost and work accountants, Charted Financial Accountants, Company Secretary, Banking and Finance, various management courses like BBA, BBM, Hotel Management, Hospitality Management, Travel and Tourism, aviation and related fields, IATA courses. Apart from these students can also go in for integrated B.Com. Courses such as B.Com with Accountancy and Finance, Banking and Insurance, Financial Markets are other options available. Students wishing to pursue a career in the civil services the Union Public Service Commission (UPSE) conducts selection examinations i.e. Civil Services Examinations (CSE). The CSEs are conducted for recruiting individuals for various posts of Indian Civil Services such as Indian Foreign Service (IFS), Indian Administrative Service (IAS), Indian Revenue Service (IRS), Indian Police Service (IPS) and Allied Services in the Central Government, Doctors, Engineers, Economists, Geologists, Statisticians and Assistant, Grade C and D exams, Forest Service, Combined Defense Services but for Graduates. For 10 + 2 or PUC (Pre – University Course) candidates the UPSE conducts only 2 competitive examinations namely National Defense Academy (NDA) for the selection of armed forces candidates and Special Class Railway Apprentices Exam (SCRA). The Staff Selection Commission (SSC) is in charge of recruiting individuals for the middle and subordinate level posts for all the departments of the Government of India at a National Level. the middle and subordinate level post’s comprise of Clerks, Assistants, Inspectors of Income Tax, Excise, Customs, Sub Inspectors of Police, CBI etc., Stenographers, Auditors, Junior Accountants Exam etc. apart from the UPSE even the Railway Recruitment Board (RRB) and Banking services conduct competitive exams. For the posts of non technical office clerks, commercial clerks, Ticket Collector, Trains clerk, direct recruitment is made by RRBs. For the areas that require technical skills such as Diesel and Electrical. Assistant, skilled artisans, mechanical/electric, 10th & ITI certificate in the choice of field is required. Also students wishing to pursue a career in the Armed forces can join the Indian Army, Indian Navy, Merchant Navy and Indian Air force as well. For students who wish to pursue Diploma courses then applying for Minimum Competency Vocational Courses; more commonly known as M.C.V.C. is an option for you. These courses were started with the intention of training students with general technical knowledge, developing vocational skills and to promote self – employment. These courses were started by the National Council of Educational Research and Training (NCERT) in New Delhi. On a similar note the Maharashtra State Board of Technical Education (MSBTE) located in Mumbai also conducts diploma course along with degree courses. On the basis of a diploma students can opt for degree courses in the specialized field. Most students in the 10th Standard are in a dilemma because they have to decide which course they should opt for. The advancement in technology is giving rise to development and along with it newer careers are surfacing. As a consequence students are pushed further in to confusion with a wider array of choices, thus making the career decisions that much more difficult. Most often than not, the immediate sources of students for gathering information are their parents who aren’t aware of the options available as they are constantly pressed for time. Between juggling work and family life, making career decisions for children isn’t an easy task either. This leads to students seeking to gather as much information as they can about the various avenues available. In order to make a right decision it is important for students to know where their interest lie as that is generally where their strengths are. 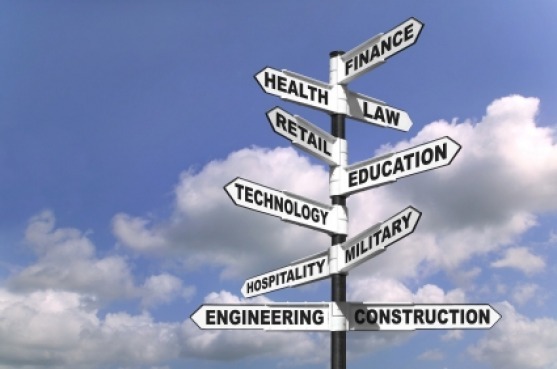 Making a career decision relies wholly on the information gathered and the resources used. Some other sources apart from the Internet are visiting education fairs conducted or by applying for career guidance are some effective ways to begin with. Generally students after completing the 10th grade usually opt for + 2 or PUCs (Pre-University Courses). The common fields that students opt for are Science streams with Mathematics, Biology, Computers and Bio-Mathematics, Commerce stream and Arts and Humanities stream. Students who choose Science at the PUC level have the option to change their stream to either Commerce or Arts and Humanities. Students who choose the Commerce stream can opt for Arts but not Science, similarly arts students cannot opt for either the Science or the Commerce Streams. Apart from these general courses there are other courses that are run for the sole purpose of generating employment at an early stage. These courses are termed as vocational courses. The Vocational courses are conducted by Industrial Training Institutes (ITIs) and Industrial Training Centers (ITCs). These institutes are constituted under the Ministry of Labour of the Union Government of India. Many Government and Private run ITIs and ITCs, have began training organizations that provide training in various technical fields. Courses that require basic skills that are course specific are electrician, machinist, fitter, plumber, turner, welder etc. On the successful completion of these courses students can opt for practical training courses in the industry of their choice. After completing the practical training course a National Trade Certificate (NTC) is issued to these individuals by the National Council for Vocational Training (NCVT) in the opted trade. A student is required to qualify for the All India Trade Test (AITT) in order to obtain the NTC. The job openings for such courses are plenty for instance they can apply in government sectors like Indian Railways, telecom departments etc. but only after qualifying the written examination. If a student’s interest is in the Armed Forces and has done a vocational course then they can join the Indian Army or the Indian Navy or even the Police Force. If a student wishes to join the Indian Army as a Soldiers in the technical trade but they need to give written examinations such as Indian Army Soldier Clerks Examination, Indian Army Soldier General Duty (N.E.R.) Examination, Indian Army Soldier Technical (M.E.R.) Examination, Indian Army Soldier Nursing Assistants (M.E.R.) Examination etc. For those students who wish to join the Indian Navy the Job opportunities are Dock Yard Apprentices, Sailors, Artificer Apprentices, etc. this too on the basis of written examinations. Student wishing to join the Police Force need to undergo a physical test and a written test, thereafter they can join as a constable (tradesmen) via the Central Reserve Police Force (CRPF). If one wishes to secure a job as a clerk then these individuals need to clear the grade examination conducted by the Staff Selection Commission (SSC). In addition to the above mentioned courses there are also short term courses such as diplomas for individuals who wish to pursue them. For instance if one is interested in the teaching field then these individuals can opt for Nursery (Pre-primary) and Primary Training Diplomas conducted by the departments of primary education in various states. Another option for students is to pursue a 3 years Polytechnics Diploma course in Engineering. After pursuing a diploma in engineering these students can pursue 2nd or 3rd semester of B.E. /B.Tech. Degree courses through the Lateral Entry Engineer Test (LEET). The other diplomas available are 3 to 4 years diploma in pharmacy, design fields such as web designing, fashion designing, jewellery designing, interior designing etc. as per the field of interest. In addition several job oriented courses are also available in the I.T. sector and other fields such as, animation, modeling, beauty care, radio jockey, video jockey, disk jockey, video editing, etc. Students who wish to pursue a career in design, the first step is to clear the entrance exams well. There are various entrance exams conducted for various courses for instance engineering, management, medical so on and so forth. With the cut throat competition acing the entrance examination is mandatory. Since NIFT is one such entrance, here are a few tips that can assist you. Tip 1. Pay Attention: Be alert at all times for anything that may help you to come up with new ideas. Make use of all the various resources available to you such as newspapers, magazines, on-line sites, advertisements, posters, banners and flayers. By paying attention to these resources you might just get a few ideas that will come in handy during the examination. Know the tips for how to crack the NIFT entrance exam? Tip 2. Master skills: improve skills like human illustrations and calligraphy. You never know when they might come in handy. If you develop human illustrations and calligraphy skills these skills can be a life saver at times during examinations. Trying you hand at calligraphy and enhancing it can make a simple image lively. Tip 4. Don’t be afraid to try new things:Explore areas that you may have not thought off. This activity enhances your creativity and you just might come up with newer and unique ideas. Tip 6. Plan: students should make sure they plan their time well so that you can complete the paper in time. This will give you enough time to complete the paper if you stick to it. If you succeed you will definitely have more than enough time to add in your finishing touches. You need to even plan your ideas before beginning to sketch. This will reduce the time spent on a sketch if you have a plan in place. Tip 8. Give Preference to Details: applicants should give preference to details as it gives life to what you wish to draw and people are able to understand clearly what you wish to portray from your sketch. Use shading as and when required and ensure that you give finishing touches to your creation if possible, it gives a good appearance to the sketch. Tip 10. Take Care of your Health: it is important for you to eat a healthy and a balanced diet, ensure that you get enough of rest by sleeping on time and exercise, as this will refresh you. Following these simple tips will definitely benefit you and it will ensure that you perform to the best of your ability. Practice as much as you can because practice makes one perfect. 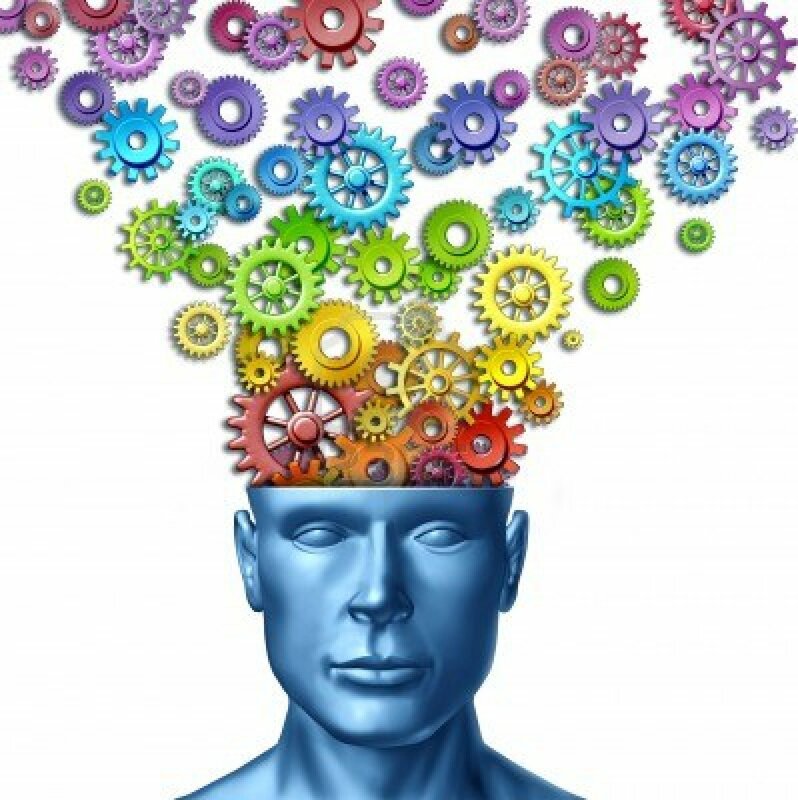 Have you often wondered whether you can improve your imagination and creativity skills? Do you often run out of innovative ideas? Are you bored with the same old ideas time and again? Are you tired of searching for new ideas? These are common problems faced not by artists alone but by most individuals in today’s day and age. Most individuals are preoccupied by work that they tend to fall short of ideas due to the minimum time devoted in developing such abilities. Artists on the other hand tend to run out of ideas at some point in time which is referred to as an ‘artist’s block’. After careful analysis it was found that both imagination and creativity are two sides of the same coin mainly because imagination results in creativity. Of the various things that I have tried in the past these were the ones that worked best. 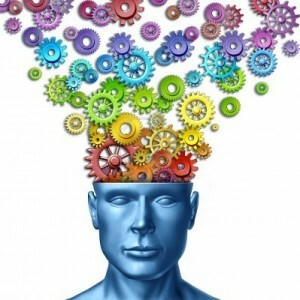 Know the 11 best tips to improve your imagination and creativity. Reading fiction and adventure novels have helped a great deal. Since they take you to a different world altogether, you get exposed to different possibilities and a different mindset is instilled. Another tip that has been effective is by letting your mind visualize the descriptions given while reading. Spending time with creative people has helped because you are constantly surrounded by creativity. Even though it may seem unrealistic, some of that creativity tends to rub onto you in one way or another. The creative atmosphere helps you to come up with creative ideas of your own, therefore it is important to spend time with people who share the same interests as yours. Develop a learning attitude this will spark creativity and increase ones imagination. Ask questions like “What if?” and “Why not?” these questions generally get you thinking of the various possibilities. It is important for one to keep learning and keep experiencing new things because it gives way to developing newer ideas. Well known personalities are those that aren’t afraid of trying new things. It is therefore important for people to move beyond their comfort zone by taking on new challenges. Challenging oneself to experience new things or to embark on new adventures and endeavors is therefore effective. If you are bored of coming up with same ideas then it is preferable that you change your perspective of looking at things By approaching things differently it will give rise to fresh ideas. Each one has a set of talents or skills; therefore developing these skills is important. Engage yourself in things that you do best in. Cultivate the habit of exploring other areas that you think you may be passionate about. This will give rise to new ideas. This is important because people tend to restrict themselves to topics they are familiar with resulting in similar ideas. Exploring different topics gives one an insight in to other unexplored areas that you may not have thought of. Often narrating things tends to give rise to other aspects that you may not have thought of as this activity frees your mind to other possibilities. With constant activity sometimes just resting your mind will allow you to come up with creative ideas. Therefore conditioning your mind to rest is all the more important. When conversing with a friend pay attention to their prospective of things as you a bound to come across things that you have not thought off. This will enable you to get more ideas. By following these simple tips you are bound to come across fresh ideas and thus improve your imagination and creativity skills.